Isolated Command Post Keating - one of the most vulnerable US army bases in Afghanistan. Located at the bottom of a deep valley, soliders are exposed. The Taliban can see every move and attack is imminent. Outnumbered Just before sunrise on 3 October 2009, hundreds of Taliban insurgents open fire from all angles. Red Platoon and the Black Knight Troop are pinned down. They hear the message over the radio: Enemy in the Wire. The Taliban are inside the camp. But never outgunned. 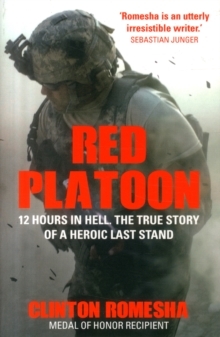 This is the heart-stopping, awe-inspiring true story of the platoon's brutal struggle for survival, told by the man who fought to defend his men, and who was awarded the Medal of Honor for his extraordinary bravery.